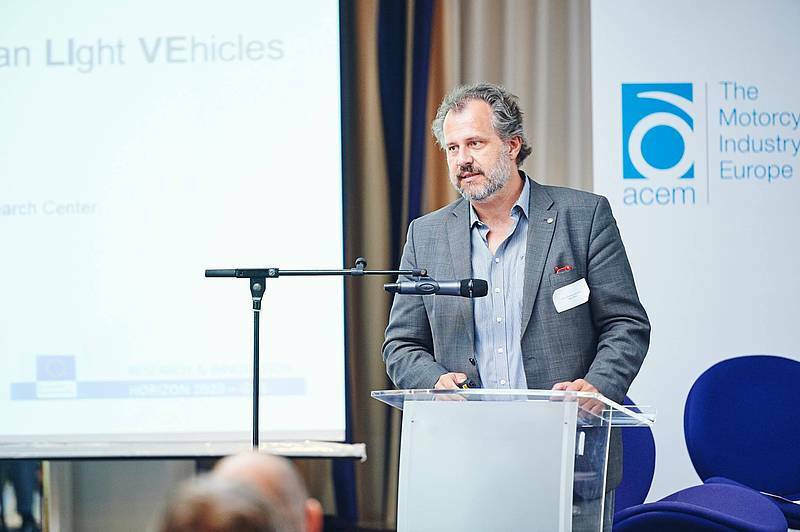 On 24 September more than 130 experts discussed trends in the area of light vehicles with two, three or four wheels at this year’s conference of the European Association of Motorcycle Manufacturers ACEM in Brussels. EU-LIVE project coordinator Werner Rom was invited to present the EU-LIVE project and to participate in a top level panel discussion. 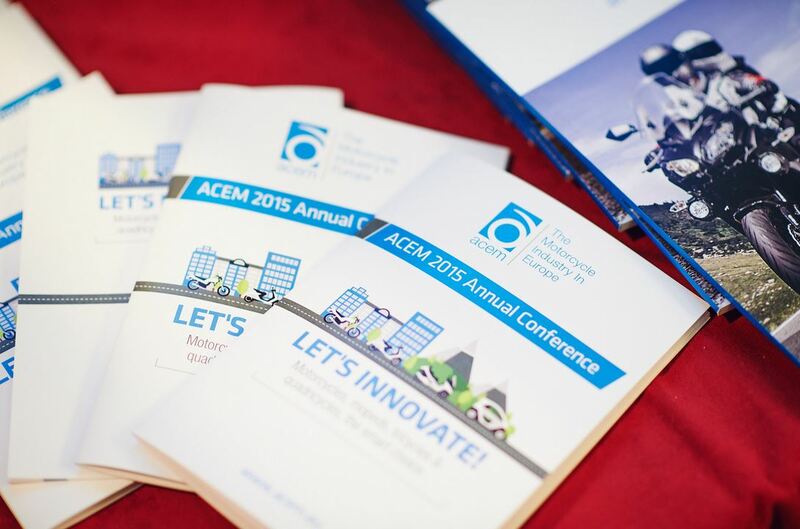 “The place of L-category vehicles in the EU” – this was the motto under which more than 130 high-level decision makers from economy, politics and the public discussed about the great potential of so-called “L-category vehicles” at the 2015 annual conference of the ACEM (Association des Constructeurs Européens de Motocycles). These light weight vehicles with two, three or four wheels have great relevance for Europe’s future transport strategy, in particular concerning their use in novel mobility concepts in urban areas. 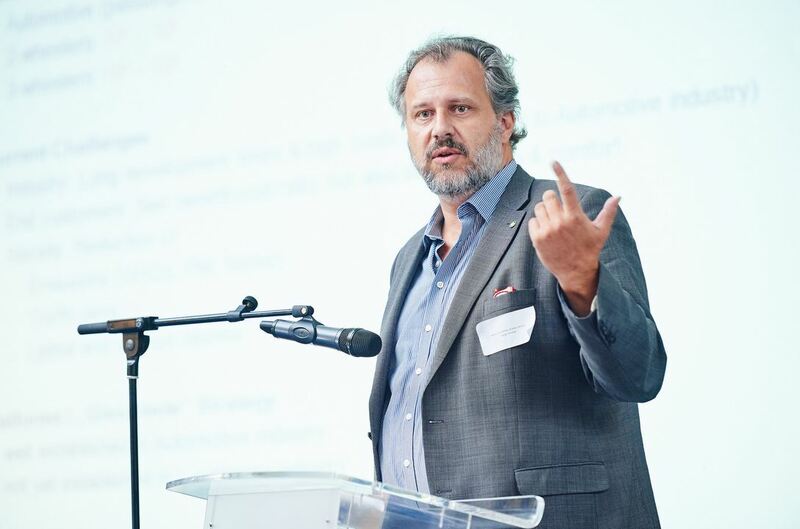 Werner Rom, head of the Area “Cross Domain” at the VIRTUAL VEHICLE Research Center in Graz/ Austria and project coordinator of EU-LIVE, presented the EU-LIVE project. The participants were impressed by the overall concept of EU-LIVE, particularly by the idea to comprehensively transfer established development methods and tools as well as components from the high-volume automotive / passenger car industry to the L-category area. This approach is only made possible by the so far unique EU-LIVE research and development cooperation between renowned partners from the automotive industry (e.g. PSA, Continental) and the two- and three-wheeler industry (e.g. PSCO). 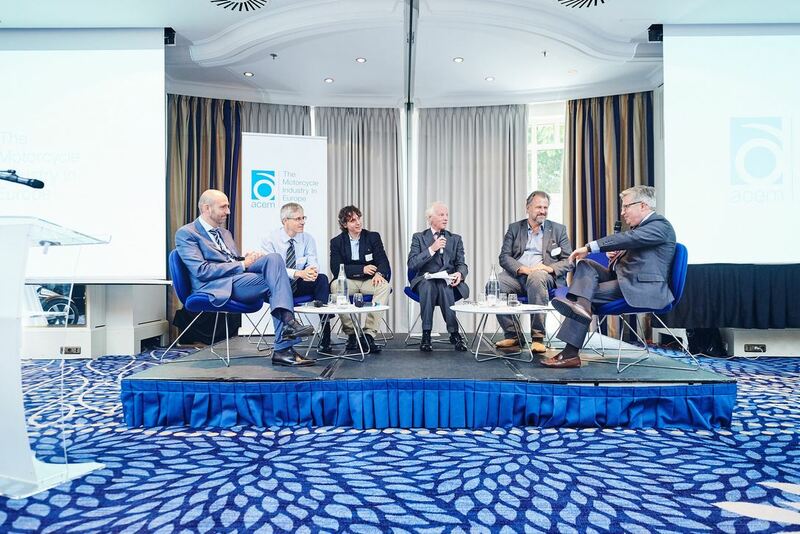 Werner Rom was further invited to participate in a top level panel discussion on “Unlocking the innovation potential for L-category vehicles: Electromobility” with representatives of the European Commission and ACEM. Among other issues questions of the acceptance of L-category vehicles, but also aspects of hybrid and future battery technologies were discussed. In the morning before the ACEM conference, Werner Rom met the coordinators of other European R&D projects on L-category vehicles such as RESOLVE (Piaggio/KTM), WEEVIL (IK4-TEKNIKER) and ESPRIT (CEA) to mutually present and discuss the projects and to identify potential synergies and possible joint next steps. The interest for cooperation in different areas was confirmed from all project coordinators and the next clustering meeting is already planned for the Graz Symposium VIRTUAL VEHICLE (GSVF 2016) on 23-25 May in Graz, Austria.